Find out why we consistently sell homes for more $$ and faster than the average agent! Real Trends as advertised by the Wall Street Journal ranked Team Lytle number one in NW Louisiana in terms of total volume of property sold and number of transactions for the calendar year 2017. Click here to see some of the fruits of our efforts! This is the most useful & accurate real estate website in the area with advanced search technologies that allow you to view listings in the MLS or to ensure your own home is sold in reasonable time and for top dollar. 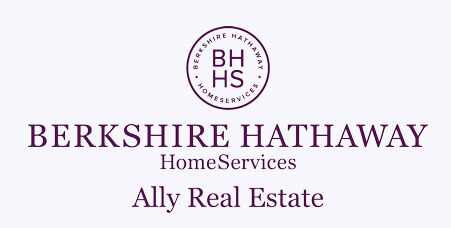 Team Lytle was recognized by Berkshire Hathaway HomeServices as a Chairman's Circle "Diamond" team for 2018 & 2017 which is awarded to the top 1/2 of 1% of all teams/agents in the Berkshire Hathaway HomeServices system. Team Lytle was ranked number one in Northwest Louisiana in terms of total volume of property sold and number of transactions for the calendar year 2017 by Real Trends as advertised by the Wall Street Journal. Team Lytle was recognized as the top producing team in the state of Louisiana for Century 21 Worldwide in the calendar years 2015 & 2016. Team Lytle was recognized as the top producing team for Century 21 Elite in 2015 & 2016. Team Lytle was recognized as one of the top 3 teams in the region (this includes all or parts of Louisiana, Oklahoma, & Arkansas) for Century 21 worldwide in 2015 & 2016. Team Lytle was recognized as a Centurion Team for 2015 by Century 21 Worldwide. Team Lytle was recognized by Century 21 as a Masters Team for 2014. We believe in obsessive service. This is the foundation of our business & why our clients generally become raving fans after the transaction is complete. We are committed to innovation which is why we have invested heavily in amazing photography, film production, social media & internet optimization, & cloud-based transaction management. We strive to constantly stay ahead of the technology curve. We believe in rapid response. We know that our customers want what they want when they want it & so we strive to meet that expectation in our interactions with clients & customers. We believe in selflessness. We are in this business to serve our clients to the max of our abilities and at no time will we let our interests override the interests of our clients. We believe in an old school work ethic. America was built on this foundation & we strive to embody this on a daily basis. We are relationship-focused. We know the value of relationships and do not sacrifice those for business gain. We love our clients and realize their value to our success. We are unwavering in our desire to act with transparency & integrity. We strive to be like a crystal spring of pure clear water that our clients can peer into & see all of the inner workings of their dealings with us. We like all of our actions to be in the light. We believe in brilliant design, beautiful marketing, & luxury services. We believe that beautiful design evokes emotion and emotion stirs the soul and creates a connection between the client, agent, and home-buying process. We are dedicated to being real estate experts. We use that expertise to partner with our clients and provide them with the information & data that they need to make informed decisions. For the past decade, Adam Lytle has built an enviable reputation for a high level of professionalism in sales and service. When he & his team agree to help you buy or sell a property, Adam becomes more than just another sales agent trying to close a deal. He becomes your right hand man, your expert strategist, your personal and discreet advocate at-large. He brings you the exclusive use of his estimable work ethic and well-rounded skill as a marketing and sales professional. Contact us today if you need expert real estate representation! While our team works successfully across all price-ranges, we focus on selling high quality properties in Bossier & Shreveport's finest neighborhoods, including Broadmoor, Lakeside on Long Lake, Pierremont, South Highlands, Stonebridge, Waters Edge, Oak Alley, Southern Trace, Spring Lake, Long Lake, Lakewood Marina, Woodlake North, The Haven, Autumn Creek, Sweetwater Oaks, Olde Oaks, Victorian Point, Woodlake South, Twelve Oaks, Lakewood, Greenacres Place, Brunswick Place, Chez Moi Gardens, Provenance, St. Charles Place, Carriage Oaks, Plantation Trace, Forest Hills, Bay Hills North, Sunflower Place, Carriage Oaks Crossing, Pepper Ridge, Cornerstone, North Club Estates, Ellerbe Road Estates, Willow Ridge, The Colony, Dogwood South, Tiburon, North Park Estates, Gardens of Southgate, Norris Ferry Landing, The Settlement of Stonewall, the Cross Lake area, Shady Grove, Greenacres, St. Charles Court, Cross Creek, the Southern Hills area, North Desoto Estates, Summerwood & Savannah Place. Whether you are in the market to buy or sell a home, we want to serve you so give us a call today at 318.286.5511. Word is spreading through upscale real estate circles in Bossier Parish and Caddo Parish, LA: when you seek an honest opinion of current market trends and how it relates to the sale of your high quality home, pick up your phone, & call 318.286.5511. 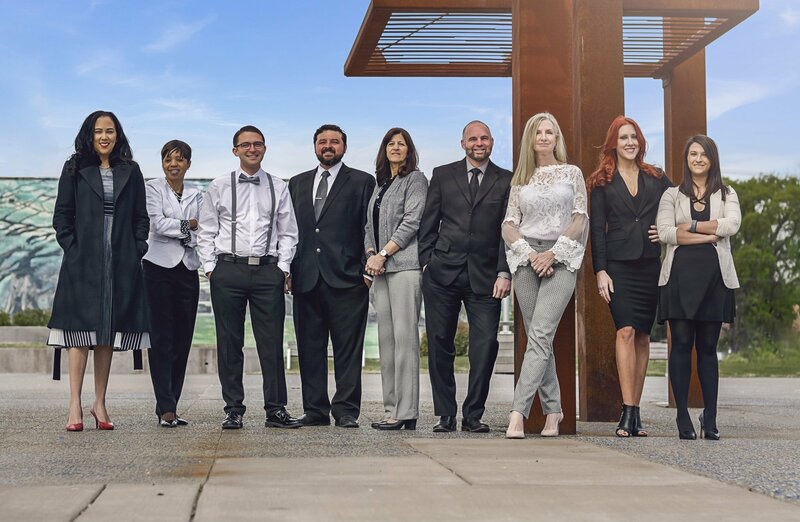 For an energetic, business-like approach that's refreshingly different and highly successful, Team Lytle can give you the expert real estate representation you deserve! If you are looking for homes in the Bossier, Caddo, or Desoto Parish LA areas, this site will help you gather information about local towns like Bossier City, Shreveport, Greenwood, Blanchard, Mooringsport, Benton, Haughton, Princeton, Stonewall, and Keithville; obtain school reports, and of course, search for homes. You can even save your home search, get notified automatically when a new listing becomes available that matches your criteria, and change your search at any time, all with the click of a button found on my home page. We specialize in golf course communities and luxury homes, land, commercial properties, new developments, & training facilities for racehorses but, not to worry, if you are looking for something else, please contact us. With a large part of our business based on referral, we've helped many families find all types of homes, including new homes, townhomes, or move up properties. Where Can You Find a Home? This site will summarize much of what is important about the Caddo, Bossier, and Desoto Parish areas of Northwest Louisiana. This includes the Bossier City, Shreveport, Keithville, Stonewall, Greenwood, Blanchard, Mooringsport, North Shreveport, South Shreveport, Benton, North Bossier, South Bossier, Haughton, Princeton, Cross Lake, and Cypress Lake areas. Adam has been a multi-million dollar producer for 12 consecutive years. Adam has been recognized by SB magazine as one of the top agents in Northwest Louisiana in multiple years. Adam has been recognized as the top individual agent in the Bossier City location of Realty Executives SB for the calendar years 2010 & 2011. Team Lytle was recognized as the #1 producing team in the Bossier City location for Realty Executives SB for the calendar year 2012. Adam was awarded the 100% Club Honor by Realty Executives. Adam has been honored as a member of the elite Executive Club within Realty Executives. Adam is the owner of real estate investment company. We have expertise in residential, commercial, land, new construction, residential developments, foreclosures, & short sales. Adam is a certified e-Pro which is an accredited tech & internet expert for the real estate industry. Adam is also a Certified Military Residential Specialist. Adam is also a Certified Residential Specialist. Adam is also licensed as an Associate Broker in addition to being a Realtor. Adam is also an experienced relocation agent & has helped employers such as Wal-Mart, International Paper, the US military, General Motors, Centerpoint, Marlboro, & Chrysler with their employee's relocation needs. Michael is an accredited Green Designee which is an expert in the field of green materials, energy-efficient technology, green ratings, green design, green living, & green incentives. Michael has been a multi-million dollar producer in the calendar years 2014, 2015, & 2016. "Two challenging property sales. Adam Lytle's competence in his field, savvy use of technology, people skills, calm and reassuring manner, team of confidence-building professionals, and network of individuals to help with home repairs and pre-sale needs literally got me through to the finish-line on what was for me, an arduous pre-Adam road. Oh, if we had only had him from the start! At the point we found Adam Lytle, I needed someone in whom I could feel confidence and trust. From the moment he first walked through the door until the day of closing, Adam was a resource of excellent information, offering insights and guidance gently, reassuring when I needed it, caring, and well... an excellent business man and an exemplary human being. Selling a home is not magic. It is hard work for all involved. Adam tells you up front what needs to be done to maximize your property's sale potential. When everyone is working to that end, the contract comes!"